shaping up at the gym? how about shaping up at the office? 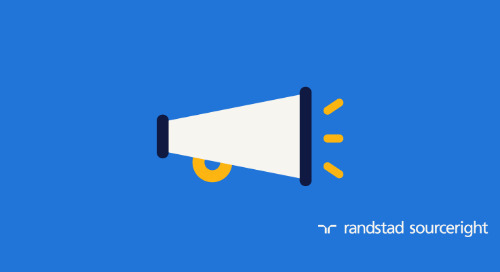 Home » Randstad Sourceright Insights » shaping up at the gym? how about shaping up at the office? Fitness fanatics are nearing nirvana these days. Why? The convergence of fitness and technology is accelerating, and this is probably putting a smile on the faces of all those who regularly put on a pair of sneakers. The evidence: look around your own home and office. Just about every new mobile device offers technology to measure, assess, and prescribe how you exercise, what you eat, and how many calories you burn. Add in the countless number of fitness tracking devices and you start to understand how health-conscious consumers today have more tools at their disposal than ever to achieve a healthy lifestyle. It’s an exciting time, but all of these developments beg the question: if you are personally better equipped to get fit, how is your company doing? Is it “fit” for talent so that you are in a position make the best hires for your business? Like people, employers are also seeing more “enablers” to help them become more fit for business. According to analyst Josh Bersin, the pace of innovation in the HR marketplace is accelerating, and these changes are transforming how talent leaders can support business initiatives. “During my 15+ years as an analyst, I have never seen so many new vendors and capabilities, and so much new talent entering the HR technology marketplace,” he concluded in a special report on disruptive HR technology in 2016. But the availability of technology tools is just one part of the equation. How you become fit for talent will also depend on your company’s ability to adapt in a new world of work. This involves not only HR but also many other stakeholders including hiring managers, line leaders, and even the C-suite. Do you have clarity of mission and goals for your organization? Does your C-suite support your efforts to win critical talent? If so, how are they doing this? Do you have adequate resources to win the talent that your company needs? Do you have a strategy to contend with the changing talent market and its shift to a greater use of contingent workers? Are you future-proofing your workforce through reskilling of workers? temporary workers will be critical to keeping your company trend-forward? If so, are you adopting such an approach? We believe the answers to these questions are just a few of the critical criteria for establishing your adaptability. There are many others, and they are the basis for our 2016 Talent Trends Survey, which will collect the opinions of thousands of HR leaders around the world. Like our inaugural study conducted at the end of 2014, the latest survey will be aimed at understanding how fit organizations are. We believe it will be one of the most insightful reports on talent in 2016. To request your copy when it becomes available in January, click here. 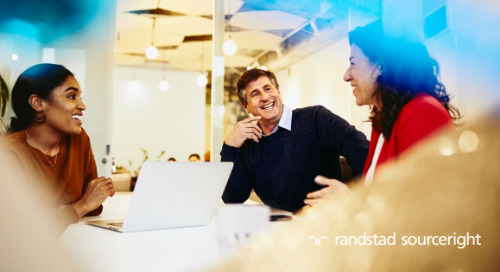 Remember, it’s not enough to have the tools, but HR leaders should also be ready to have challenging conversations with internal customers about transforming their talent strategies. Only then can you honestly say you are fit for talent.